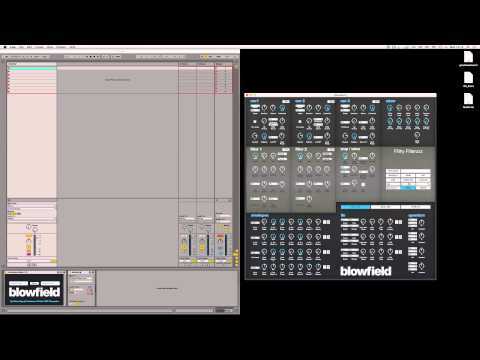 Current version: 0.08 EMiX is an editor for the Electribe MX. This editor was complete built in max msp and maxforlive. 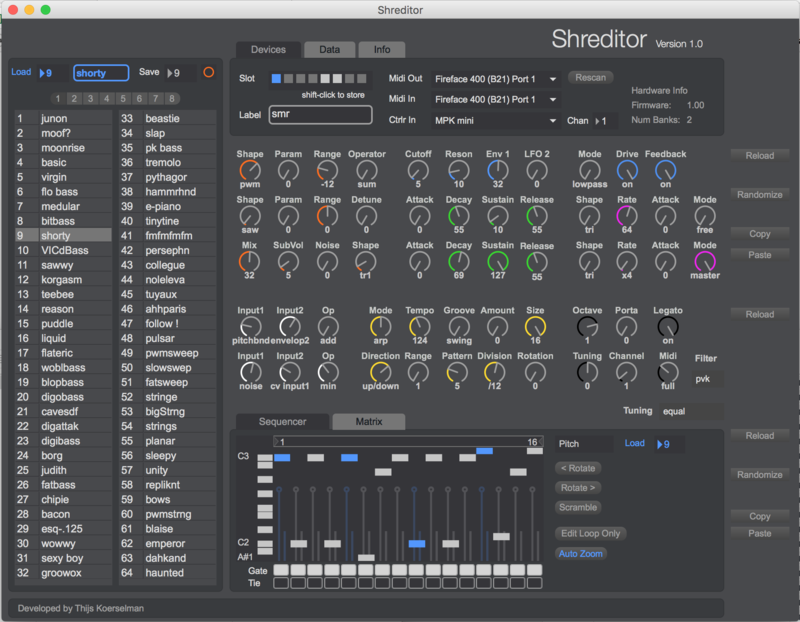 The Shreditor is a software editor for the Shruthi-1 DIY hardware synthesizer. An awesome little hybrid mono synth developed by Mutable Instruments, which combines 8-bit oscillators with various analog filter boards. Mashup is a chance based sound editor for beat based edits, mangles and mashups in pure Ned Rush style. Max was used to interpret the MIDI sysex patch data to form a GUI. The same GUI can be used to send cc's back to the synth.